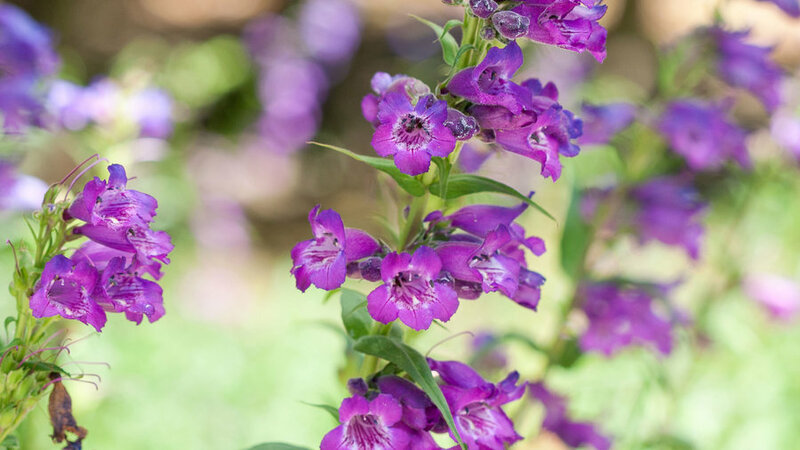 Flowers of the evergreen hybrids come in shades of purple with dark flecks and last well in bouquets. 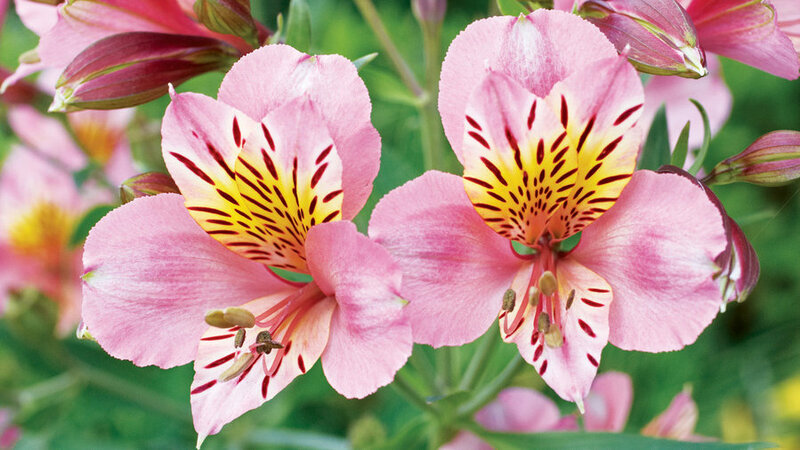 Alstroemeria aurea blooms come in shades of yellow and orange. The 2-to 3-foot tall plants produce flowering shoots as long as the soil doesn’t get too hot. (Twist the shoot off at the base to keep them coming). 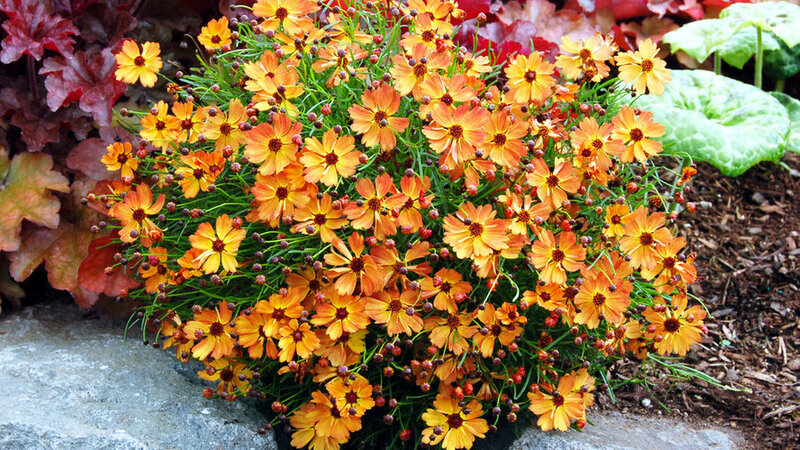 The low, mounding perennial covers itself in summer with mango-orange flowers that have a red blush. We love the fresh, fruity hue of this new variety. Clip the faded blooms so the flowers will keep coming. 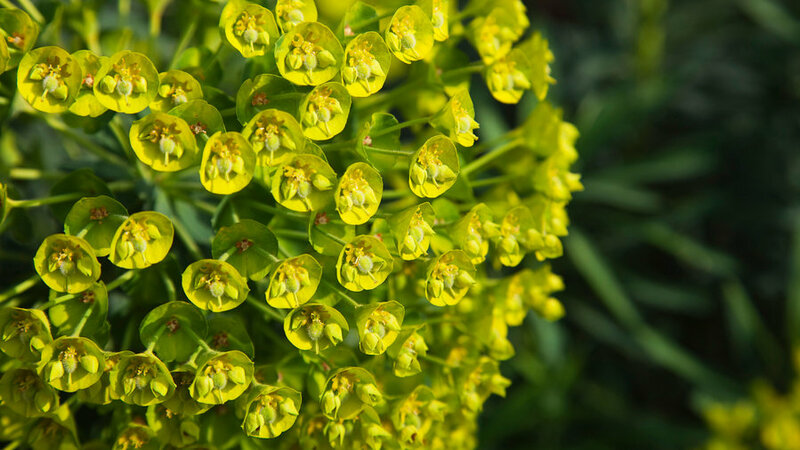 Upright stems crowded with narrow blue-green leaves form a dome-shaped bush 4 ft. high and wide. Chartreuse flower clusters appear in late winter or early spring (cut spent ones out at the base). 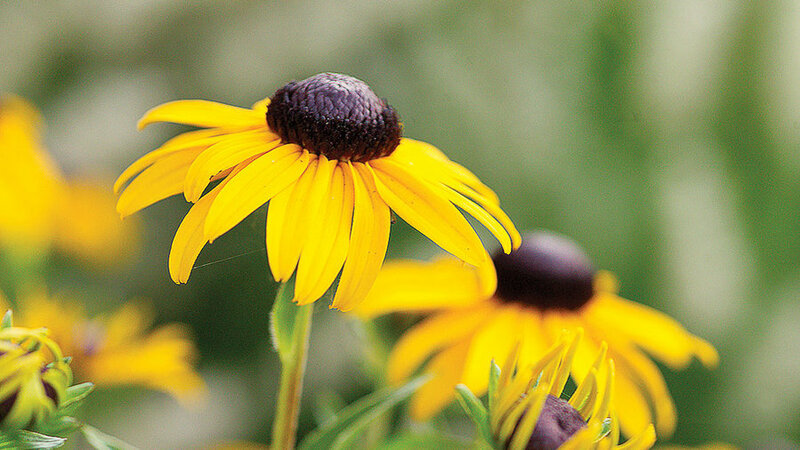 Cheerful daisylike blooms in various warm shades of yellow, bronze, and red. Many varieties are available, with single or double flowers. 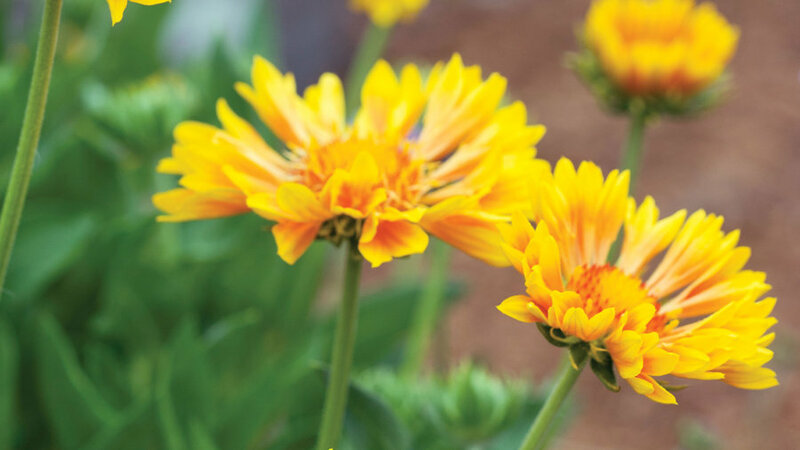 Ones we love: foot-tall ‘Goblin’ with deep red flowers bordered in yellow; ‘Yellow Queen’, pure yellow flowers (2 1/2 feet tall), and orange ‘Tokajer’ (3 feet tall). Tall flower spikes grow from mounds of velvety foliage to 15 inches high, 2 feet wide. ‘Lady Stratheden’ has clear yellow blooms; ‘Mrs Bradshaw’ has double scarlet blooms. Both have a delicate wildflower look. Photo courtesy of Terra Nova Nurseries, Inc.
9 of 16 Photo courtesy of Terra Nova Nurseries, Inc. 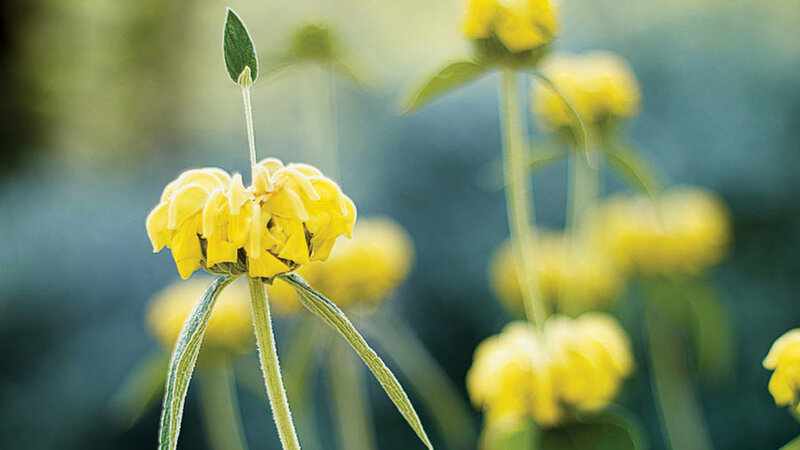 These garden workhorses thrive in light shade (full sun in cooler climates). 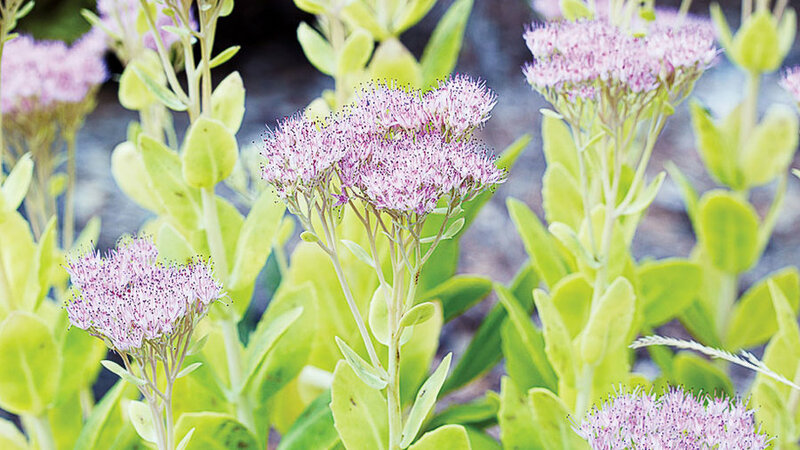 They send up slender, wiry stems of tiny bell-shaped, pink or white blooms. 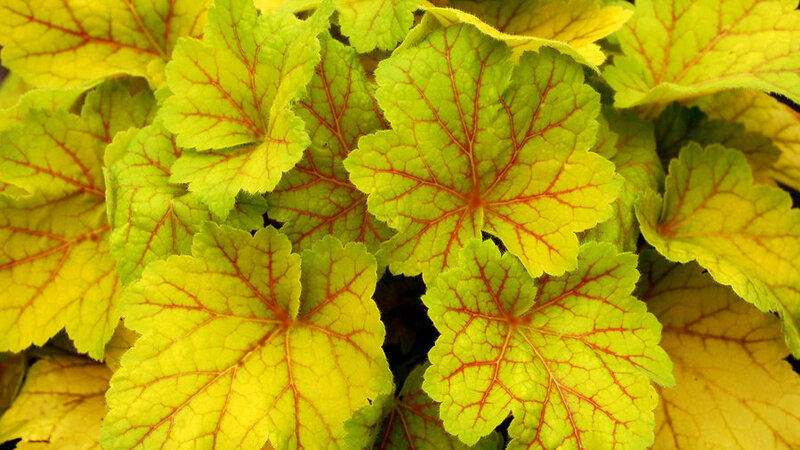 But it’s the scalloped or lobed leaves we love most; they come in delicious shades of cool lime, plum, chocolate, and more. 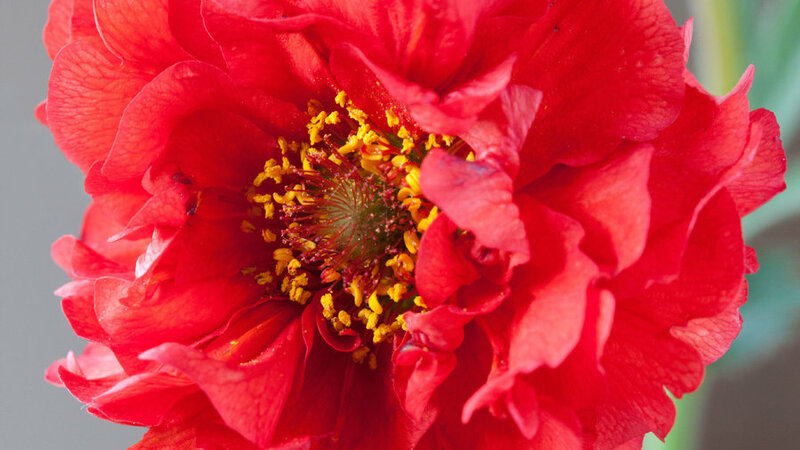 Our current crave: ‘Southern Comfort’ from Terra Nova nurseries; its hue is rich and mellow, like its namesake. 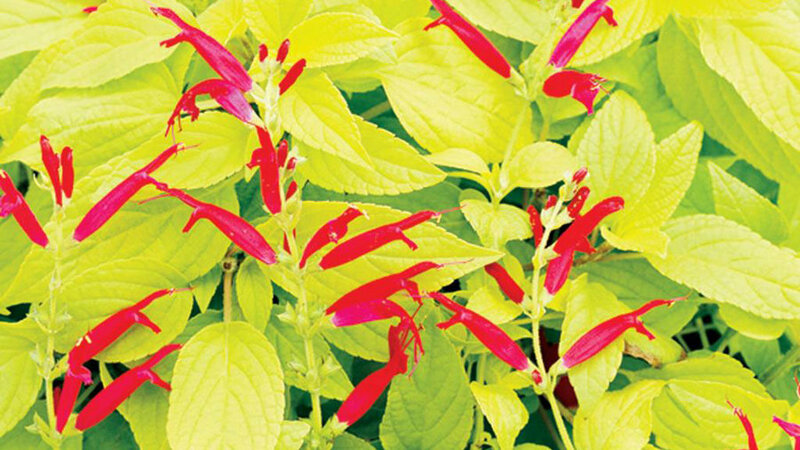 At its best in fall when it sends up spikes of vivid red flowers, this salvia’s foliage smells like ripe pineapples. The plant grows 4 feet tall. S.e. 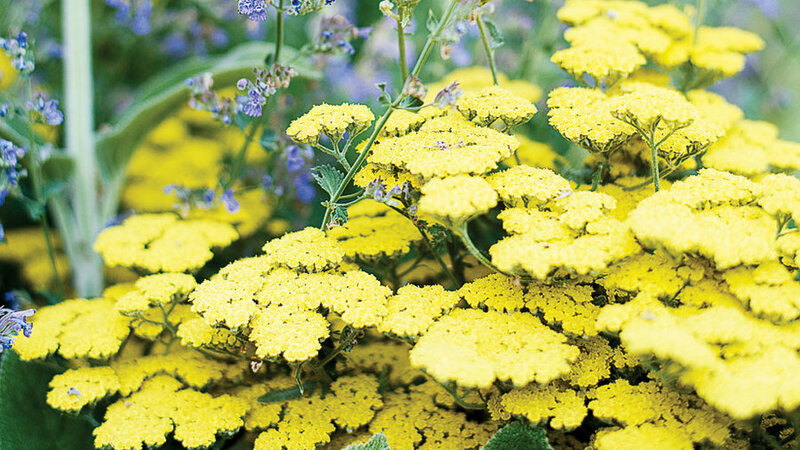 ‘Golden Delicious’ grows 1- to 3 feet tall with fire-engine red blooms and chartreuse leaves. 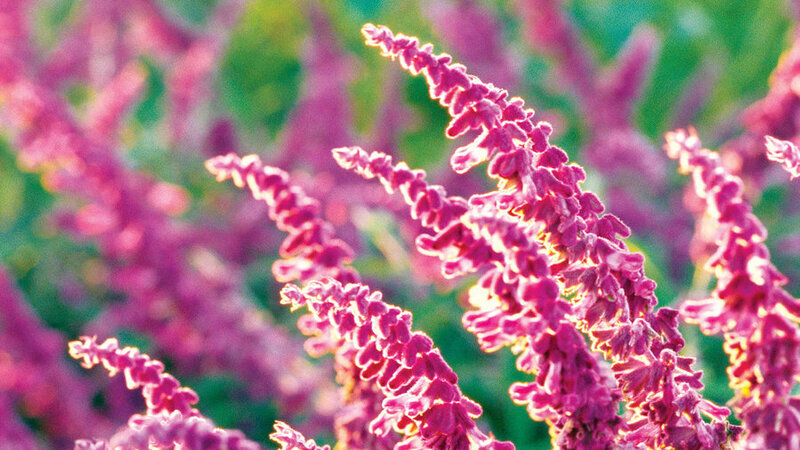 Masses of velvety purple flower spikes cover gray-green shrubs from late summer into spring in mild-winter climates (bloom stops with frost in colder regions). Plants reach 3 to 4 feet tall and 4 to 6 feet wide. 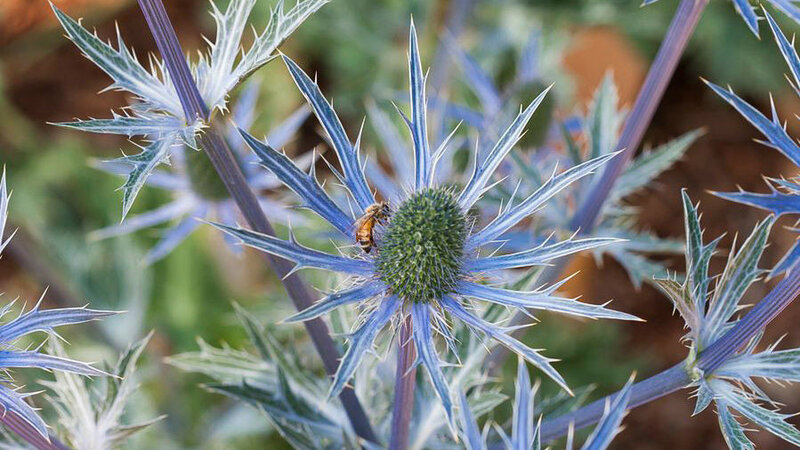 Amethyst flower heads surrounded by 2-inch silvery-blue bracts open atop tall stems in summer, emerging from a rosette of spiny, medium green leaves. The thistlelike blooms resemble 4th of July fireworks ― great for bouquets. Был найден мной авторитетный веб портал со статьями про автоматический полив hunter.